I remember going on camping trips with my dad during the weekends when school let out. Not only was it a good way to bond with my dad and my sisters (we’re all girls, so we didn’t really do any extremely rough activities while we were out there.) But anyway, the point was, it was fun. However, I don’t think my eldest sister enjoyed it much because she’s the girly-girl type and absolutely hated it when insects would sometimes come crawling about into our tent. I’m not a very huge fan of insects either, so I thought the portaledge was a pretty cool and neat idea when I first saw it. A portaledge is described as “a deployable hanging tent system” that’s generally recommended for use by “rock climbers who spend multiple days and nights on a big wall climb.” In other words, they’re hanging tents. 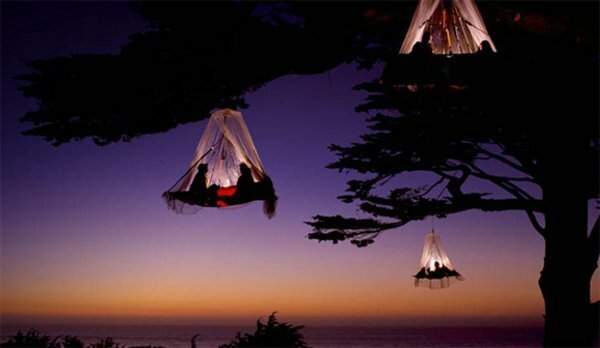 The images you see above are actually from people in portaledges at High Ropes Forest in Germany. They look extremely cool and sort of romantic, if you think about it. 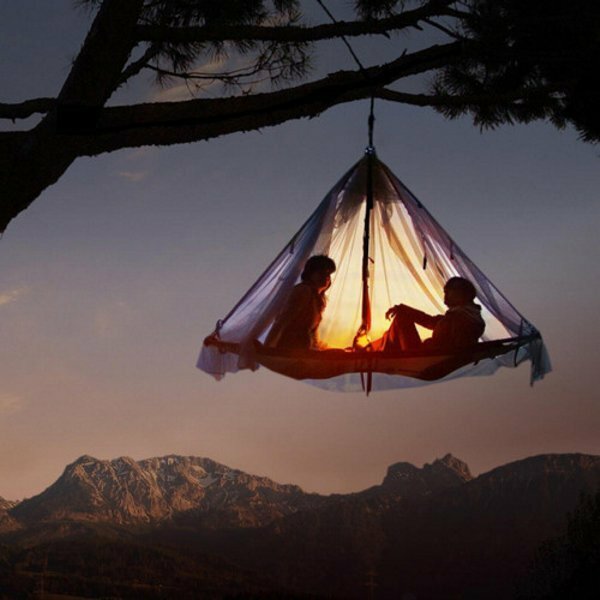 They just add a certain little something that might make the camping or climbing trip a bit more special. However, if you’ve got a fear of heights, then portaledges probably aren’t for you.